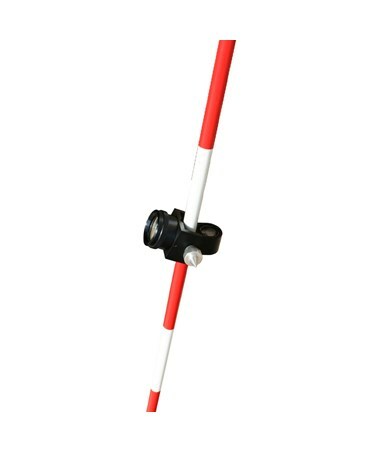 The Sokkia Mini Prism System Kit with Pin Pole 724870 features a silver-coated prism with a 25 mm diameter, 0 mm offset, and cap. 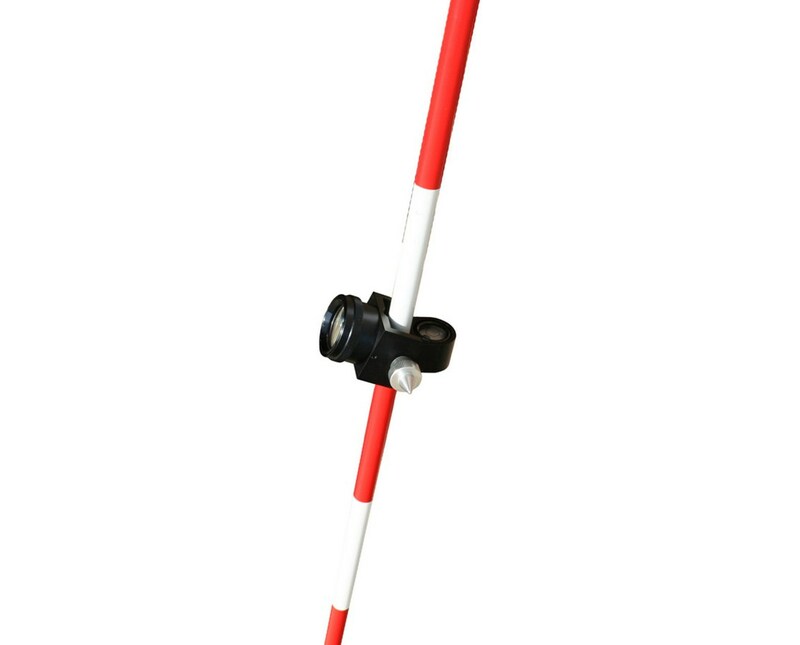 The prism itself fits into a holder mechanism that slides up and down the pin pole and has a bubble level vial on the opposite side of the prism. The pin pole is made up of three 60 cm long, red and white sections that extend to a total length of 5.9 feet. Surveying professionals will especially appreciate the plumb bob hook, padded carrying case, and 1-year warranty included with this kit.